We are fundraising to help us attend an international Printmaking Conference in Santander in autumn 2018. 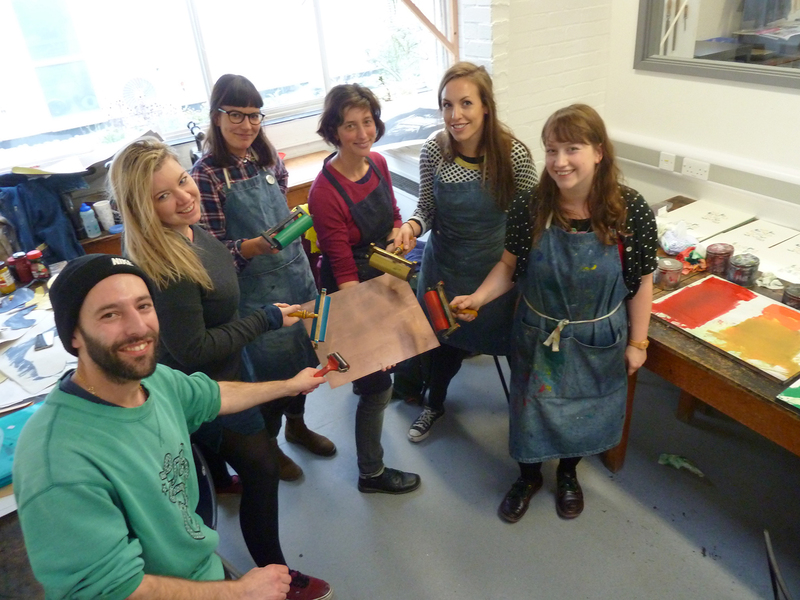 We are students on the MA in Multidisciplinary Printmaking course (MAMDP) at UWE, Bristol. We are passionate about printmaking and would love to attend the five-day event in Spain to share ideas, learn new processes and meet printmakers from all over the world. IMPACT 10 International Printmaking Conference brings together printmakers from all over the world to present papers, exhibitions, open portfolios, projects, discussion panels and workshops. The conference theme is ENCOUNTERS which will showcase historical precedents and discuss the future of the printmaking through new directions, ideas and processes. As the next generation of printmakers, we would love to be involved in those discussions, to meet professionals from around the world, learn new skills in the workshops, present artworks and talks, and build networks for future collaborations. All the funds raised will be split between those of us who can attend. The registration fee is 235 Euros each for students. We also need to travel to Santander and pay for accommodation for the conference (Weds-Saturday). We have already raised 700 GBP this summer through printing and selling artworks. We would love to raise another 1300 GBP to put towards the costs of attending. The more we raise, the more we can share towards our costs. Those of us who go will be taking prints by our peers on the course to exhibit, and we will report back to the whole group at the start of term. We have some limited edition prints from our fundraising projects to share as rewards! We are very grateful for any donations or help. Please share our campaign with anyone you think would support us – on Twitter, Facebook, LinkedIn, by email, or on your blog. Thank you. We will send you a personal thank you note and an artist’s badge from our archives. 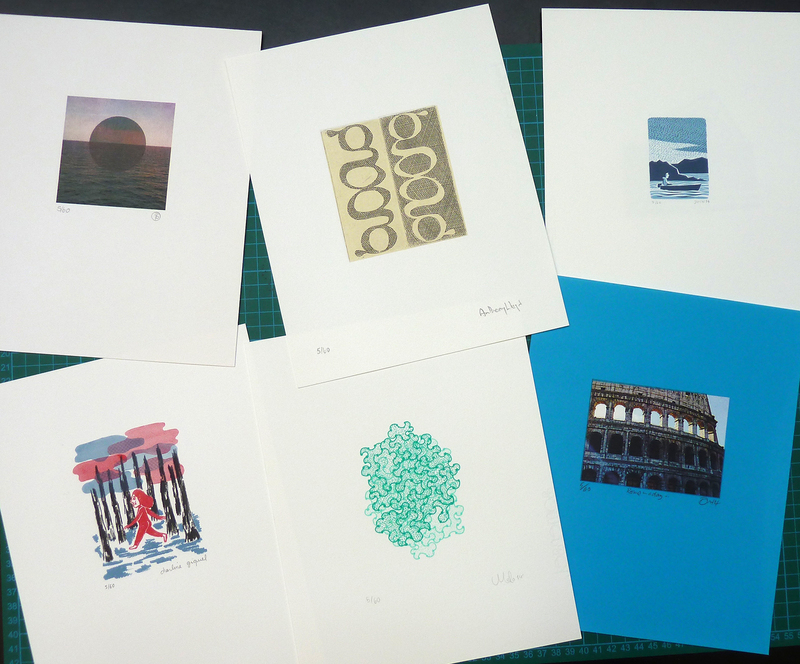 We will send you a randomly selected limited edition, miniature print from our archive as a thank you. Paper size: 20 x 25 cm, print size: 8 x 10 cm. We will send you two randomly selected miniature prints, a letterpress printed poster from our archive and a personal thank you note. Paper size: 20 x 25 cm, print size: 8 x 10 cm.